Brown Gravy Mix in bulk package. Homemade gravy is primarily made with fat drippings, and flour resulting in a very high fat content food. 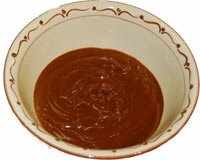 McCormick Brown Gravy is low in fat and high in flavor. You can enjoy McCormick Brown Gravy with mashed potatoes, roasts, over rice. It's low in fat and can be enjoyed often. Bulk Packaged in PET plastic container for easy measuring. Makes up to 1 1/3 gallon (21 cups) of gravy. Compare the value of Spice Place. This package of brown gravy mix contains more than 22 times the amount of mix in the typical gravy mix packet pictured on the left. That small packet typically retails for $0.79. So our package contain the equivalent of $17.38 of gravy mix, a savings of about 75%. Ingredients: Enriched Wheat Flour (Flour, Niacin, Iron, Thiamine Mononitrate, Riboflavin, Folic Acid), Wheat Starch, Salt, Beef Fat, Hydrolyzed Soy, Wheat and Corn Protein, Onion, Caramel Color, Corn Syrup Solids, Sodium Caseinate (Milk), Spices (Including White Pepper), Garlic, Natural Flavor, Disodium Inosinate and Guanylate (Flavor Enhancers), Extractives Of Paprika and Yeast Extract. or lower based on your calorie needs. Baked Pork Chops More Recipes..